Our coffee is ground for every single cup, providing the freshest possible brew! Show your employees & customers that you value them! It is now possible to get a great cup of coffee at work. With the push of a button, the latest in coffee technology grinds fresh beans and makes a fine cup of coffee – one cup at the time. It also mixes, and froths a superb cup of your favorite gourmet coffees such as latte, cappuccino, mochaccino, plus hot chocolate and French vanilla. Gourmet Grinders Coffee Service is proud to introduce a gourmet office coffee service to the Triangle area. Featuring Larry’s Beans®, a local slow roaster using fair trade organic coffee beans, we are pleased to offer you the opportunity to be one of the select few to bring fabulous specialty espresso style coffees to your employees and customers. No packets of grounds to open, no supplies to keep stored, no burned coffee on the bottom of the pot, no wasted coffee poured down the drain – and cup after cup of fresh specialty coffee available at the push of a button. 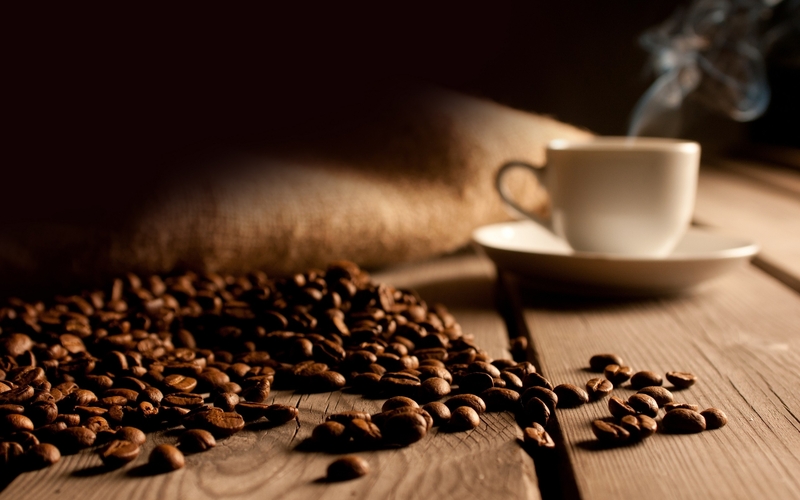 All servicing and replenishing of supplies is handled by Gourmet Grinders Coffee Service. There is nothing for you to do – except enjoy a great cup of coffee. See One Of Our Coffee Machines In Action! If your current office coffee experience isn’t exceeding your expectations, fill out the form on the right to find out if you qualify for a FREE TRIAL of our office coffee service!